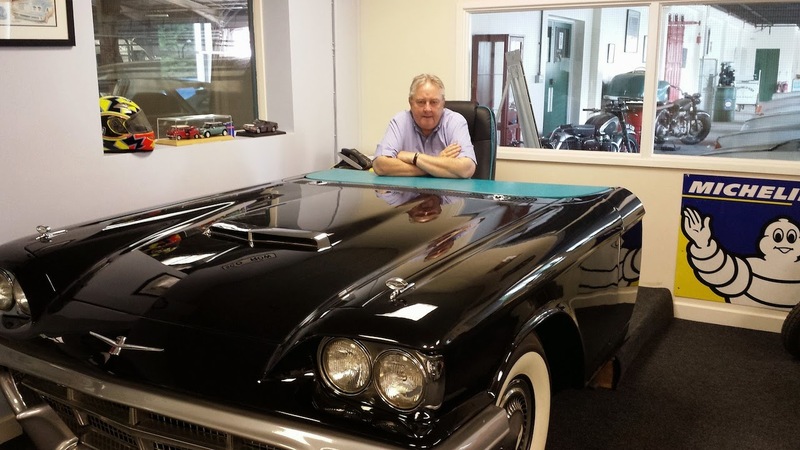 John Schofield sitting behind a very unusual desk! Car Transplants have now moved their salvage operations to a new site in Winsford. The new address is Car Transplants Ltd, Road 3, Winsford Industrial Estate, Winsford, Cheshire CW7 3PD. There is an open invitation to call in to visit. The company was started in October 1974 by the current owner, Mr J Schofield and one part time employee. It now spans 3 sites, parts and scrap vehicles 6 acres, Vehicle storage 11 acres, and the “new” site of 15 acres that includes indoor storage of 8 acres. All sites are secure with security on site 24/7. The annual throughput of vehicles is currently 30,000 approximately. There are 100 staff members employed currently, the eldest being 67 years young with 2 members of staff having been employed by Car Transplants for in excess of 36 years. “Today's recycling centre is a capital intensive, professionally run business, having to adhere to ever tougher environmental legislation. The days of heaving your old wreck to the local scrapyard where it could be left to rust are long gone. Car Transplants has invested heavily in the very latest vehicle depollution and baling equipment to enable them to work to the highest possible environmental standards”. Car Transplants have recently been given the contract of dealing with salvage vehicles supplied by Allianz Insurance. Engineers from Allianz are pemanently based at Car Transplants to ensure a seamless movement from useable vehicle prior to the claim to a categorized piece of Salvage, many hundreds or indeed thousands (in the case of motorcycles) are stored in vast secure warehouses to ensure that vehicles do not degrade further due to weather conditions. It is very clear that the owners of Car Transplants are passionate about their business and the BVSF are proud to have Car Transplants as Member. Of the BVSF, John Schofield said “ The BVSF is a very important body and well represents the professional salvage industry”.